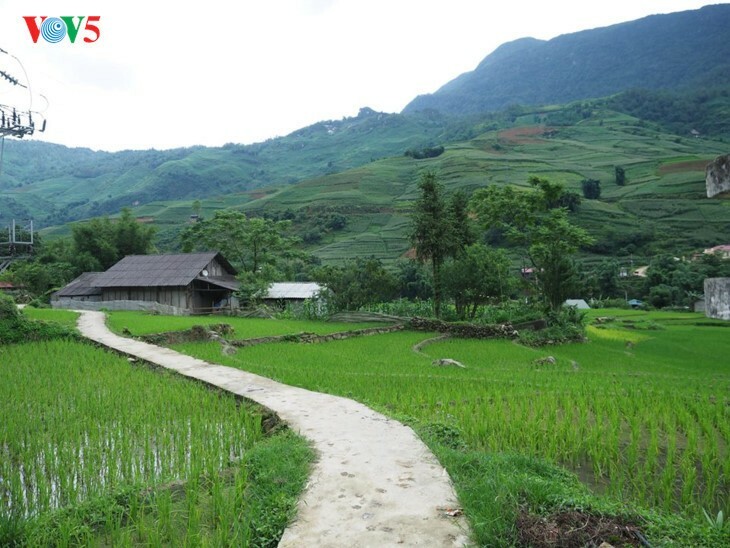 Better known as Ta Van Giay, by the Giay ethnic minority who live here, this village has traditionally relied on agriculture. 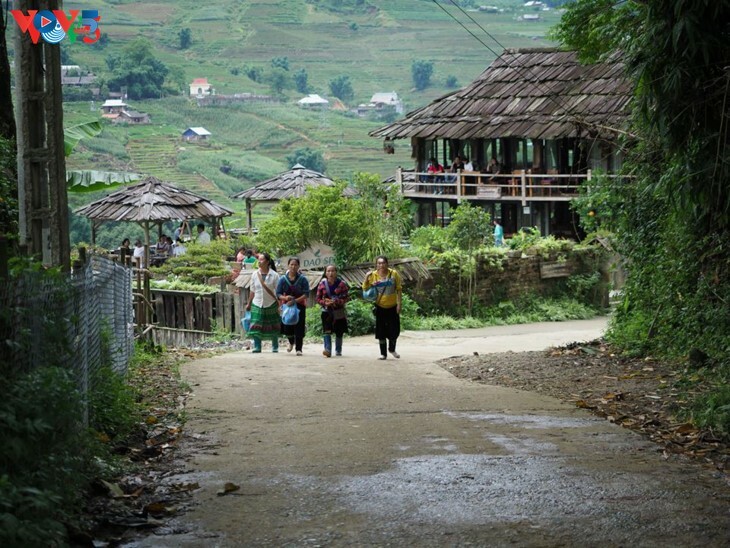 But since Sa Pa became a popular tourist spot, the villagers have changed their ways and turned to the more lucrative tourism. Nowadays, in Ta Van, almost every house on stilts is adorned with a "Homestay" sign. 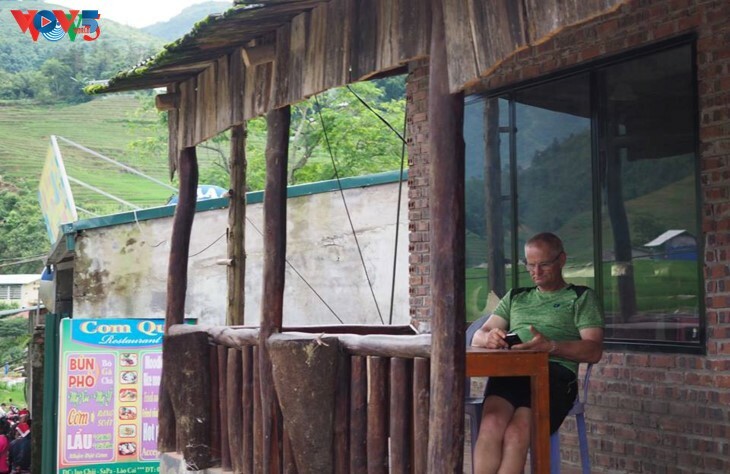 A traditional wooden house surrounded by bamboo fence, a stone"s throw from a peaceful little stream, offers a pleasant setting for a homestay tourist. On one of the benches around a low coffee table you can enjoy a cup of tea, read a book, and listen to the song of a nightingale. 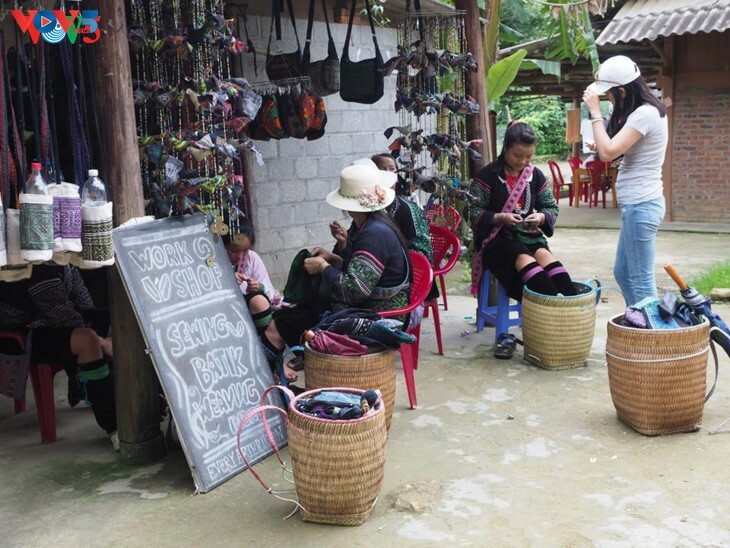 Hang A Pao, Secretary of Ta Van village’s Youth Union, said: "There are more and more homestays for tourists who want an authentic village experience. This service is mutually beneficial. The customers are satisfied and the owners are too, because they make a lot more money than they did before, enough to improve their standard of living and the local economy. " There is a now a shopping area in the center of the village with all the services: cafes, supermarkets, and convenience stores. Chao Co May, a local salesgirl, said: "I sell vegetables and organic bananas which my family has been growing for five years. The customers are mostly tourists. Many people are sellers like me. As time goes by, markets like this one multiply. I can earn several dollars every day to buy food and pay my children’s school fees. " The tourists are often accompanied by young local guides who speak English fluently. Giang Cô Siu, at her 60s, of the Mông ethnic group, talks about this change: "The people of my generation know only agriculture. But today we can live more comfortably thanks to the arrival of tourists. There are other services to provide tour guides and small shops. It"s too late for me to learn a foreign language and get involved but that doesn’t stop me from enjoying the sight of young people talking with foreign tourists. It"s nice! " 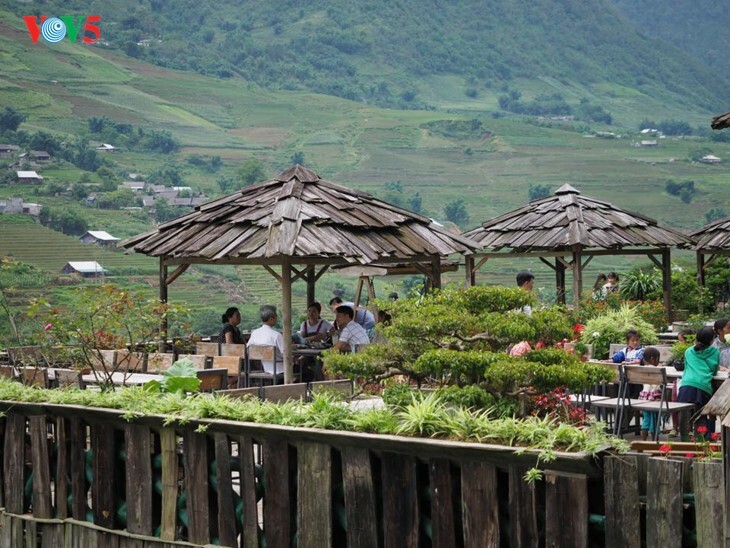 The green rice terraces hugging the hills continues to seduce the tourists who arrive in ever greater numbers. It"s great fun to wade in the big stream that runs through the village and replace the worries of everyday life with the intoxicating scent of the rice fields, the songs of the birds and the last glow of the setting sun.